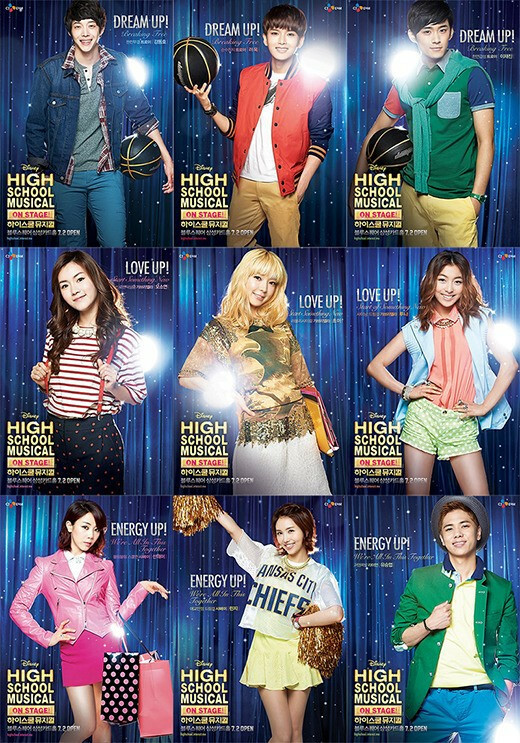 Korea will have their own remake on stage of the Disney Channel's hit teen movie 'High School Musical'. Super Junior's Ryeowook and f(x) Luna are chosen as the main leads of the musical version of the hit teen movie. Produced by CJE & M, 'High School Musical's full cast is revealed today. As for the male lead, artists who will play Troy's role are Super Junior Ryeowook, FT Island Jaejin and Kang Dong Ho while female leads for Gabriella's character will be played by f(x) Luna, AOA’s Choa and musical actress Oh So Yeon. FIESTAR‘s Linzy and Sunday are chosen to play Sharpay's character alongside Yoo Seung Yup who will act as Sharpay's brother Ryan. High School Musical On Stage will premiere at the Blue Square Samsung Card Hall on July 2, 2013 and expected to run until September.